Before I starting working on the frost-bitten, scurvy-riddled, dog-eating world of Arctic explorers, I researched more inviting places, such as Valparaiso Chile, “the Vale of Paradise.” In the 19th century, Valparaiso was a popular port for European and North American voyagers, a place for crew to load up on provisions, repair hullwork, mend sails, and dive into debauchery before the long sail across the Pacific. The U.S Exploring Expedition stopped here, as did the U.S. Astronomical Expedition, and even HMS Beagle, disembarcking a sprightly young, recently-graduated Charles Darwin into town for some quick surveys of the Cordilleras before heading out into the Pacific (with a minor port-of-call in the Galapagos on the way). 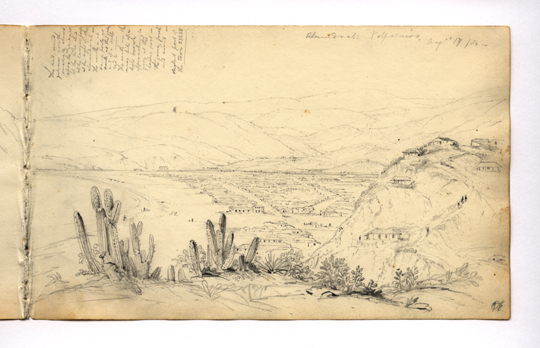 My masters thesis “Describing the Vale of Paradise: Valparaiso Chile in the Years after Humboldt” looked at the way these various scientific expeditions talked about Valparaiso, and more importantly, how they rendered it in images. Darwin did not leave much in the way of illustrations of the town, but the Beagle’s draughtsman, Conrad Martens did. Martens’ landscapes are quiet, almost languid, places, a world apart from the pulse-pounding wind-swept, volcano-erupting landscapes of his fellow Romantics. As I sat in the stacks of the Wisconsin Historical Society looking at these far away places, they gave me a feeling of Darwin’s world…an imperfect impression to be sure, but a feeling nevertheless. Thanks again to the Beagle Project Blog, great conduit of all things Darwin, I have learned that Martens work is now available for all to see at the Cambridge University Library’s website. 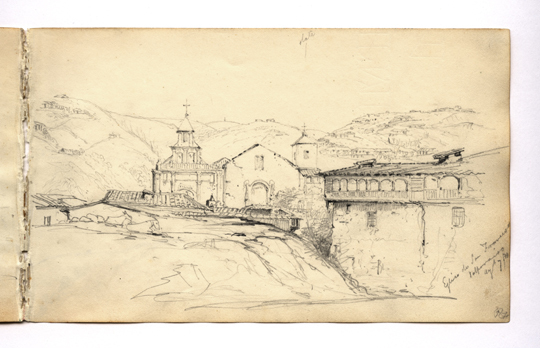 They have scanned two of the four extant Martens sketchbooks made from the voyage. They include, be still my heart, lovely Valparaiso. I’ve just discovered your blog, and am trawling through it with great pleasure. 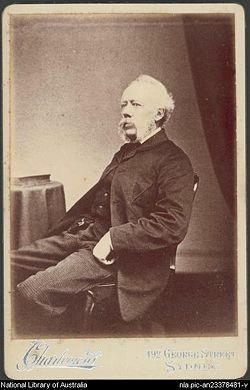 Conrad Martens was one of a number of folk from the Beagle who eventually settled in Australia (others were John Wickham and PHilip Parker King). His later work is in Australian galleries – often not on display as so much is Watercolour, and fugitive.